Prime Time Boxing Day TV sees the start of a new three part Hercule Poirot detective mystery called The ABC Murders. 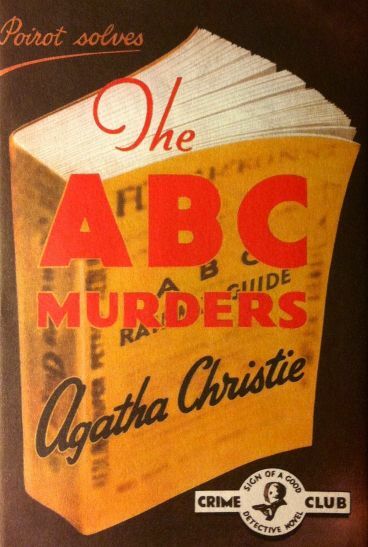 The story is based on the Agatha Christie novel of the same name, first published in the UK at the start of 1936. This exciting, fast paced story is gripping from the start as Poirot starts to receive letters from an unknown Serial Killer calling himself ABC, soon after the first victim “Alice Ascher” and the second victim “Betty Barnard” a pattern starts to emerge. Lady Hermione Clarke and Shirley Henderson as Rose Marbury. David Suchet an episode titled “The ABC Murders” aired in 1992. For any french speaking readers, in 2009 an episode called “Les meurtres ABC” featured in “Les Petits Meurtres d’Agatha Christie”. The following episodes are on at the same time Thursday 27th December and Friday 28th December. We are extremely proud to have sold one of our Antique Wood Surrounds to Mammoth Screen for Studio 81 in Leeds UK. Mammoth Screens have produced the ABC Murders with the fireplace to be used in the one of the main rooms in Poirot’s home. The original antique Art Nouveau wood surround was originally purchased by ourselves from a house renovation project in Sheffield. 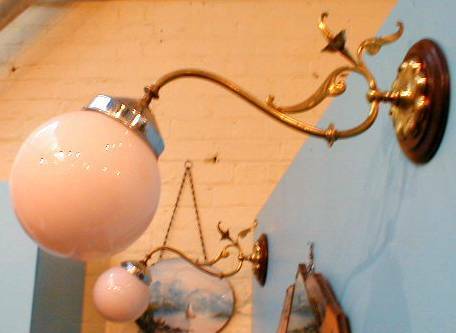 It has an impressive over mantel and original mirror with carved decorative spindle supports. Our restoration team restored the surround back to it’s original splendor. We are excited to see what this stunning fireplace will look like in the show and what, if any, adaptations they may have made. Receipt of Josh`s Bedroom Cast Iron Fireplace for restoration. 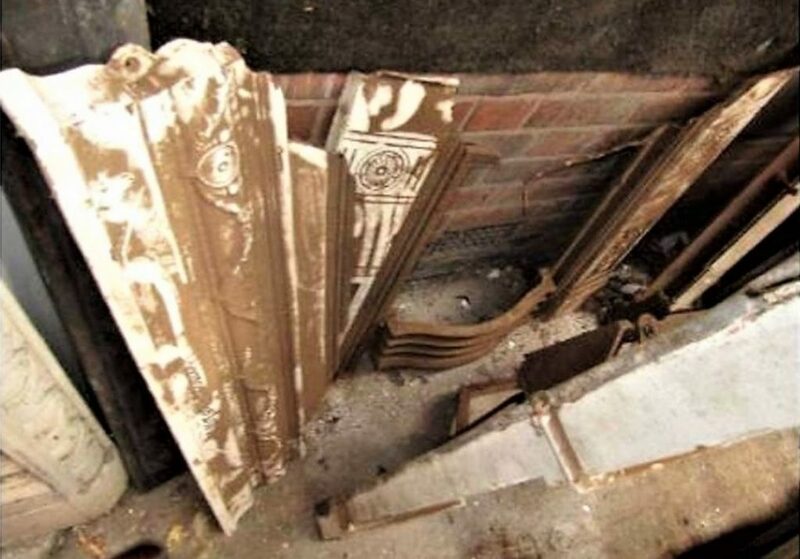 The fireplace surround was covered in layers of paint with missing shelf. The Insert did not match the surround opening size. The Insert was missing bars grate and damper isolation from the chimney space. 1. Shot blast to remove paint and add a shelf to surround. 2. Weld on an extension piece to match the surround opening. 3. Add bars with log holders and an ash cover. 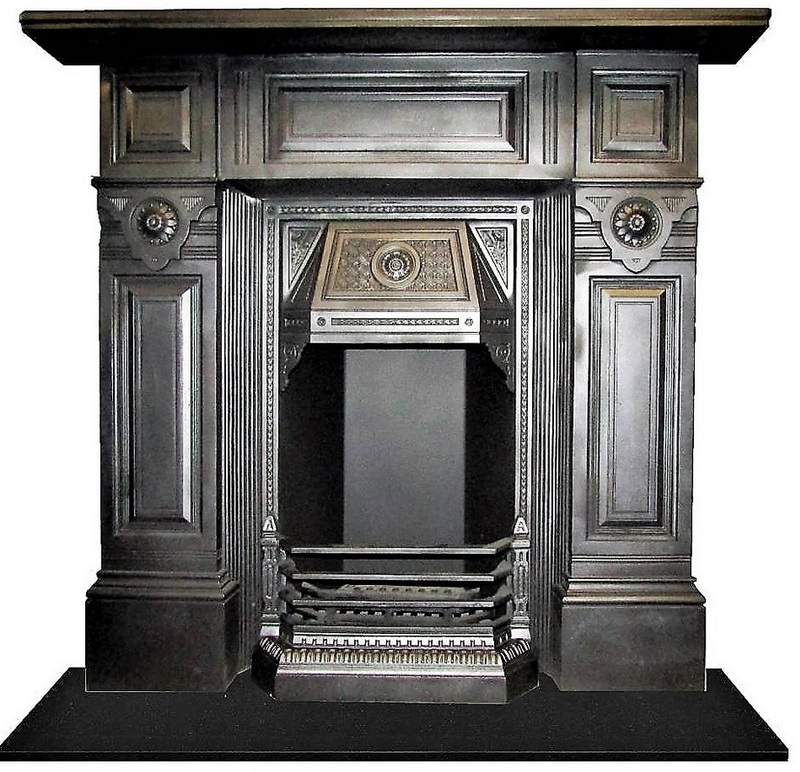 Restored Master Bedroom Cast Iron Victorian Fireplace. 2. Weld fireplace together and apply high strength joint compound sanding to match together. 3. Fit ash cover and fabricate a metal back ready made to cradle a Bio Ethanol high spec fire. 4. Apply a rust inhibitor and finish in an antique finish using grate polish. Restored Will`s Bedroom Cast Iron Restored Victorian Fireplace. 1. Cut top of fireplace to even the broken cast piece. weld corner to match. Grind and fit shelf. 2. Shot blast to remove paint. 3. Add bar set and ash cover. Fit a fabricated metal fire back isolated against chimney (use is decorative). 4. 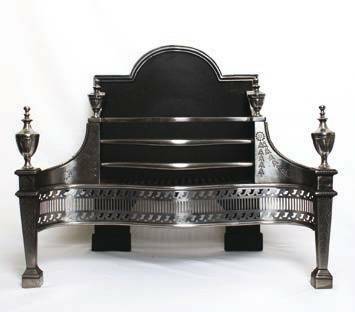 Apply a rust inhibitor coating and finish in an Antique traditional black using grate polish. 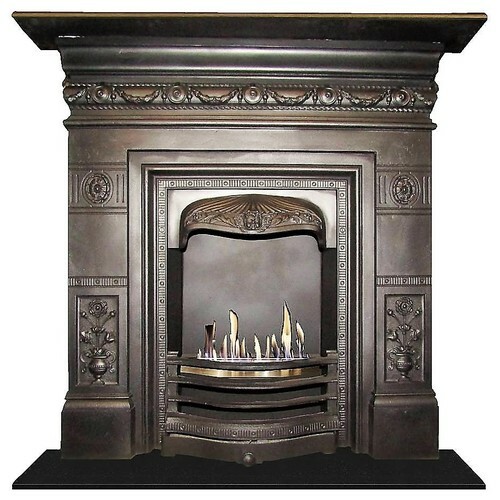 UK specialists in fully restoring antique fireplaces, sales of antique and reproduction fireplaces and stoves. Send a message via our Contact Form or call our highly experienced team for free advice on 0116 251 9592. When it comes to modern fireplace design, a lot of people are selecting options that give the look and ambience of a standard log fire, but with the added convenience of being gas fired. Of course, this isn’t going to be a suitable solution for everybody, as rural locations are often without a gas connection, but for anybody living in a more urban setting, a gas fire is a terrific idea. All the gorgeous good looks of a working fireplace, but with none of the mess. What could be better or more modern? Nothing, when natural slate trims and a slimline mantle is included to finish the whole installation. 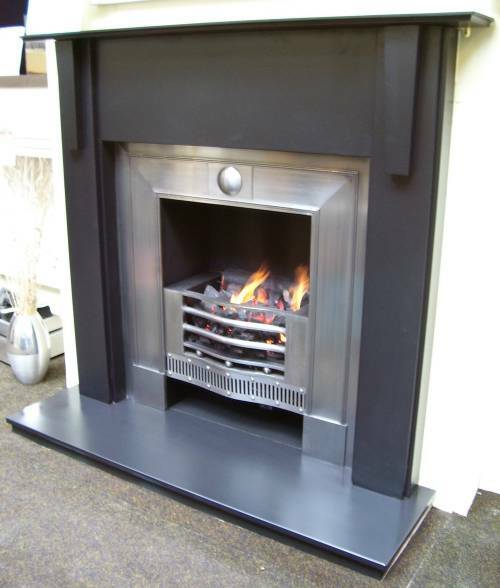 Our Epsom Slate Mantel Surround is a great example of how homely yet contemporary a fireplace can look. 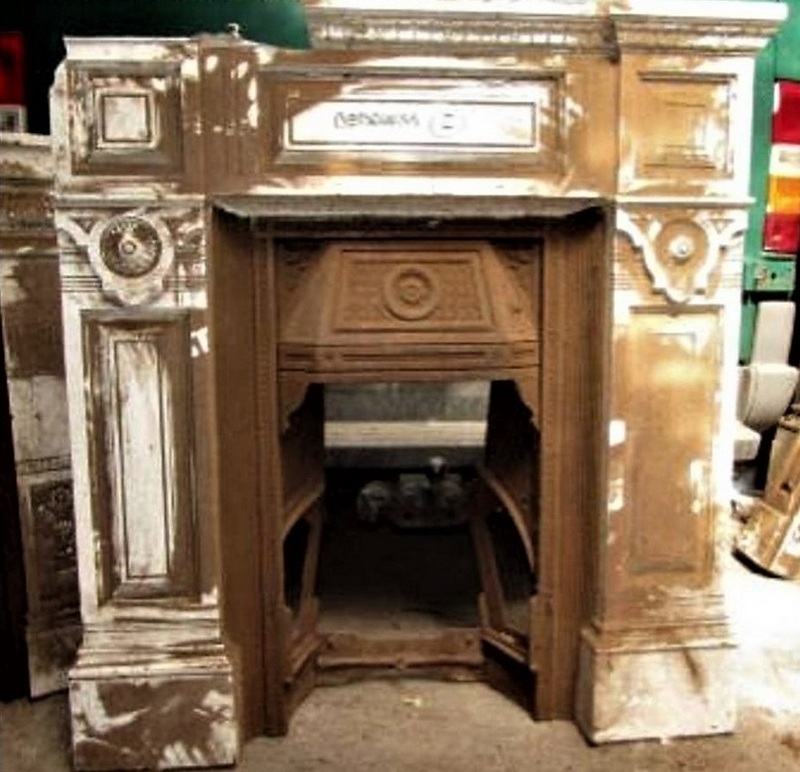 Do you already own an antique fireplace and want to breathe new life into it? You may already have a room in mind that you would like to to feature. Britain’s Heritage are renowned experts at restoring and repairing fireplaces and aga cookers, our door to door service means that even if you aren’t local to us in Leicester we can arrange to pick up your fireplace and carry out the restoration and respraying in our workshops and deliver it right back to your doorstep. Send a message via our Contact Form or call our highly experienced team for free advice on 0116 251 9592. When an extremely contemporary fireplace design is the only thing that will do, flush-fitting inset options are absolutely the way to go and because they look so incredibly beautiful, they are often mounted in such a way as to replace a television as well. We certainly don’t think there’s a TV programme that can compete with the good looks of a style such as this one! In terms of fireplace ideas, modern inset boxes are really rising in popularity right now and though they will incur specialist fitting fees, they are more than worth the investment. Negating nothing in the way of heating potential, while creating an absolutely incredible focal point, these long, lean and dramatic designs are adaptable enough to work in a new build home or even a rustic property that could use a little updating. Any modern living room with fireplace potential can be brought to life and warmed up no end, even if the space seems a little awkward or weirdly shaped. 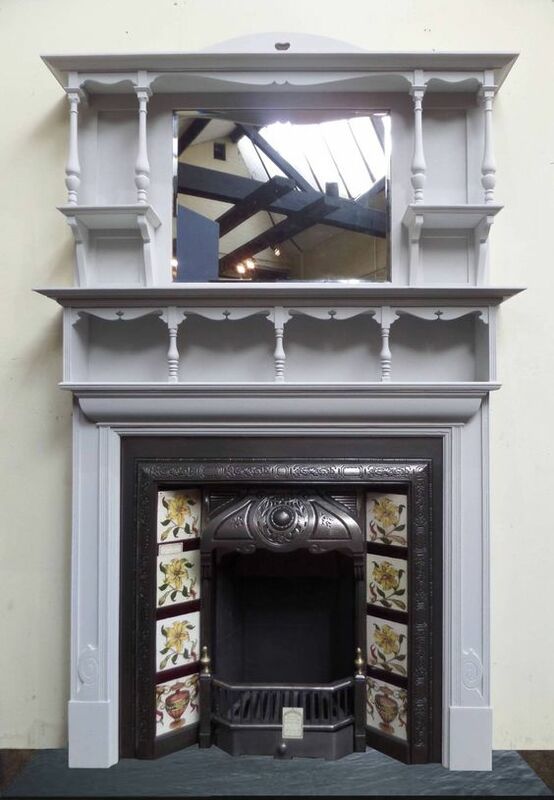 A great example of original an Edwardian fireplace will be the centre of attention in the room. This example features original green and white tiles. So many people seem to be labouring under the misconception that to have a fireplace, a proper hearth and central position is needed, however even the most unusual walls and rooms can be made to accommodate a terrific statement fireplace such as this. Fireplace mantels are a fantastically traditional motif that heritage homes love to showcase but they are in no way mandatory! 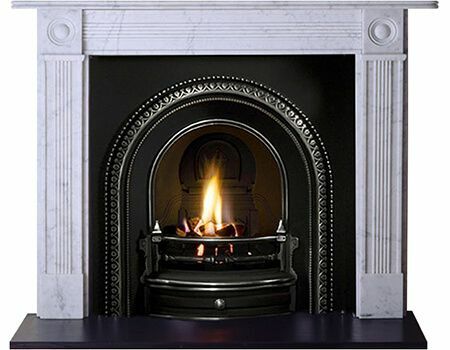 Here, we see a Georgian period marble contemporary fireplace, the overarching sense of luxury and showmanship isn’t lost at all, thanks to a decadent marble surround being included. Fitting flush to the wall, the marble here adds in a sense of traditional glamour and really frames the fire itself, just without a shelf for displaying trinkets and accessories. By using a small coffee table as a display stand instead, the fireplace itself has been kept simple and sleek, which allows the functionality to shine through. We feel warmer just looking at it, so who actually needs a mantle these days? No rustic or country home is complete without a gorgeous fireplace, but that doesn’t have to mean that a dirty hearth and messy grate have to be tolerated. Modern Fire Basket designs are absolutely mastering the art of combining effective heating with stylish aesthetics and, as an extra touch of genius, can even be likened to hearty woodburner styling too. This amazing fireplace has all the charm of a woodburner but has been finished in such a way as to offer a contemporary feel that really livens up what looks to be a lovely country property. Set into a dedicated chimney breast, this steel or brass basket creates such a neat and ordered aesthetic but still manages to be the cosy heart of the home. Contemporary meets rustic; who knew that such a thing could exist and work so well? While the installation here is not a fireplace per se, adding an original wall light fitting does give a good idea of how stylishrooms can be elavated with accessories. Things have come a long way since old fashioned designs, but sometimes only the original retro feel of a Georgian, Edwardian or Victorian fire surround, brass lamps or grate will do. All images copyright Britains Heritage 2018.